Formerly known as St Petersburg, White Nights Watercolours are professional quality, liquid-poured, semi-moist, whole pan watercolours manufactured in the St Petersburg factory. These extra-fine artists' water colours are produced with finely dispersed lightfast pigments, and all of the colours are easily intermixable. The paint structure also comprises gum arabic, which results in a quality paint, giving artists full assurance when completing important artwork. 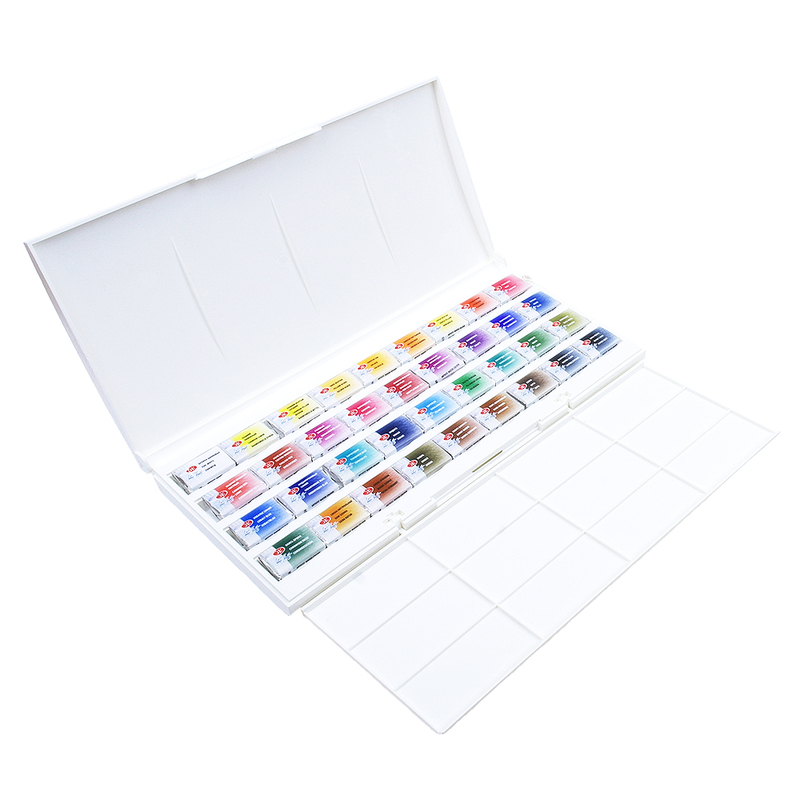 The plastic box set contains 36 colours at an amazing price for artists' watercolour paints. Click the 'Colours' tab above to see which colours are included in this set.